As I have been sorting through my mom’s belongings I have found many things that I didn’t know she had. Some of them were things I didn’t know she had, some were things from our childhood. One item that just absolutely made my day I used today. A little background first. I spent the early years of my marriage in England. My husband at the time was in the Air Force. When we got there our first task was finding somewhere to live. We settled in a little village called Henley. It was just a short bus ride from Ispwich where I did a lot of my shopping. When we were settling in I had come across a magazine that was focused on tea. 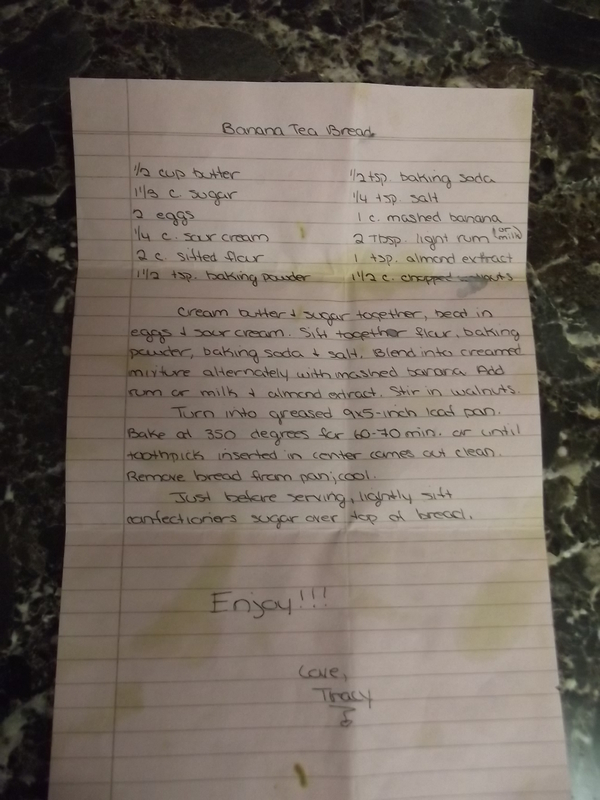 In it was this fabulous recipe for banana tea bread. It was the best recipe I had ever tried. I made it many times to have with our tea. Somewhere along the way I lost the recipe. I tried to replicate it but it just wasn’t right. Every once in a while I’d get on the internet and google it. Still couldn’t find anything quite like it. It didn’t help that I couldn’t remember the exact name of it. So, as I have been going through mom’s things I came across a little recipe file. In it was mostly recipes from magazines, newspaper, etc. It had my grandma’s tamale pie recipe in and also her divinity recipe. Among those recipes was a pink folded up piece of stationary. 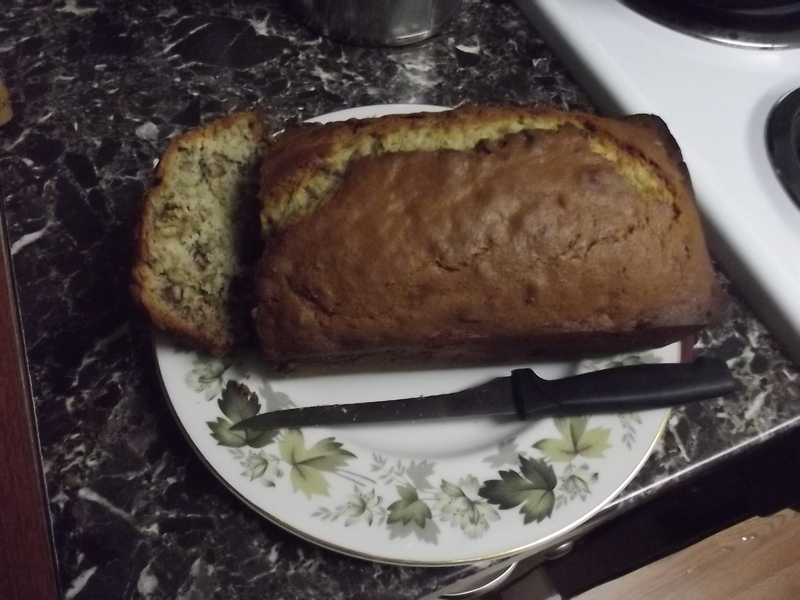 I opened it up and there it was: Banana Tea Bread. Really liking the recipe as much as I did I must have sent it to mom for her to try. All these years of wanting to make it and not having the recipe it was nearby all along. The fresh loaf of tea bread. I was so excited! The thing that makes this recipe so nice is that sour cream is added. It gives it a nice, moist texture and just a little different taste. You can put either 2 tablespoons or rum or milk in it. I use rum. 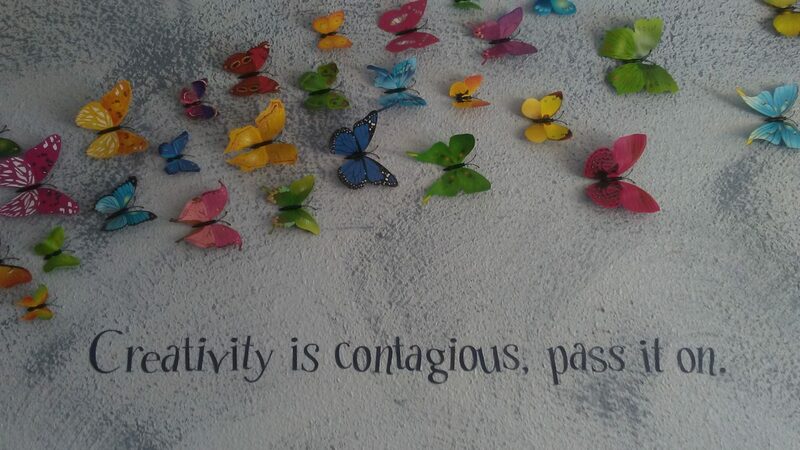 Absolutely perfect with a cup of your favorite tea. Today I’m drinking tumeric tea with my slice of warm tea bread. Cream butter and sugar together, beat in eggs and sour cream. Sift together flour, baking powder, baking soda and salt. Blend into creamed mixture alternately with masked banana. Add rum or milk and almond extract. Stir in walnuts. Turn into greased 9×15 inch loaf pan. Bake at 350 degrees for 60-70 minutes or until toothpick inserted in center comes out clean. Remove bread from pan; cool. Just before serving, lightly sift confectioners’ sugar over top of bread. 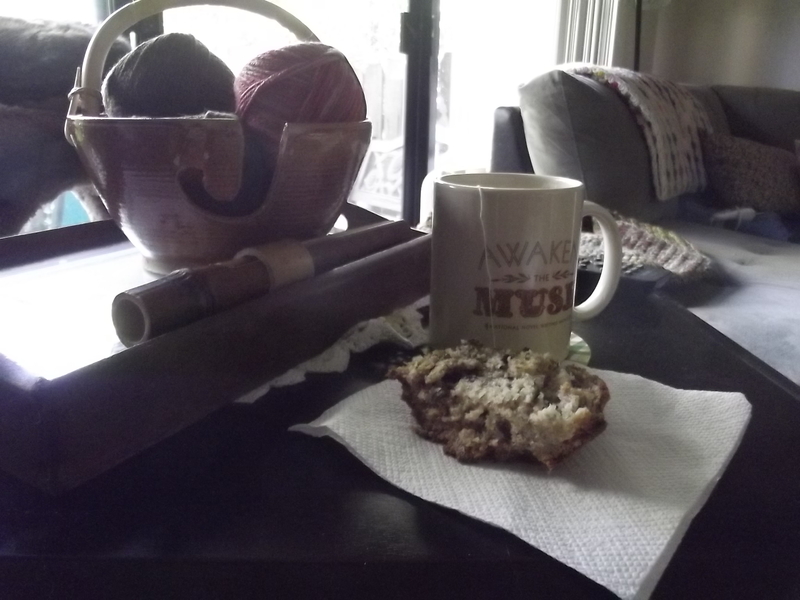 Now on to some knitting, tea and banana bread. As always Stitch On my friends!